The comprehensive solution designed for language schools. ELSIEAPP FOCUSES ON BRINGING THE ESSENTIAL FEATURES YOUR LANGUAGE SCHOOL NEEDS TO THRIVE. Get all your data secure in one place and accessible to your coworkers. Streamline your process, gain time and increase your services quality. Measure and improve your marketing with powerful monitoring dashboards. Easily accessible from your tablet or your laptop, Elsieapp allows you to control all your data at anytime, allowing team collaboration in a safe, private and secure environment. With a powerful suite of tools and modules integrated in your workflow, your team will access a new level of customer relationship management and resource planning, allowing to streamline your processes and deliver effortless high quality service. All the usual template documents are generated from the platform, cutting your needs for third party systems : send invoice, booking, transfer and accommodation confirmations, amend bookings with ease and keep track of events for a clear team communication. Over the past 10 years of helping school to improve their business, we learned that switching solution is not a decision to take lightly. We designed Elsieapp having in mind that scalability and users should not be a limit. Elsieapp will cope with an unlimited amount of users, students or bookings. Irrespective of your current school size, Elsieapp will adapt to your ambitions and the industry’s requirements, allowing your staff to deal with large amount of data in an efficient way. You stay in control of your budget without any hidden costs. Because your data is the most valuable asset in your business, we use the most reliable technology to guarantee your data is safe and backed up at any time. Elsieapp has been built and is maintained by an experienced team. An efficient Users Management Strategy allows you to control staff access to their relevant areas, providing each team member with only the information they need. Elsiapp bring you a wealth of data to help you make the right decision at the right time. Being able to access your data through your dashboard allows your to have all the necessary informations when you need it : Gross output, turnover, booking analytics will allow you to measure your school performances, which ETO/EC performs the best, or even on an operational level to audit your business. An extensive and tailored solution to manage, amend and communicate about the booking and the student life. Keep track of all the invoices related to each booking. Prepare all the classes and tests, attribute teachers depending levels, prepare exams, keep track of the marks and records. 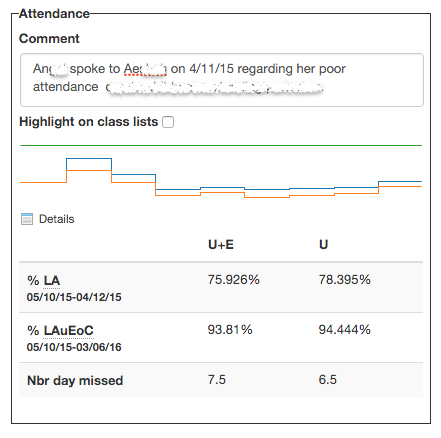 Students performances indicators, attendance, all the right stats at one glance will allow you to run the school smoothly. Organise your ETOs, ECs, offer multiple deals, monitor bookings and see how your team performs to keep track of the business in real-time. Elsieapp gives you all the information you need to plan your next package offer, identify opportunities for improvement and measure the ROI of a specific campaign. Thriving is one of them. Elsieapp was officially introduced to the market during IALC Milan workshop in 2009. Now being used by the top Language School in UK, members of TEN, IALC and Quality English.